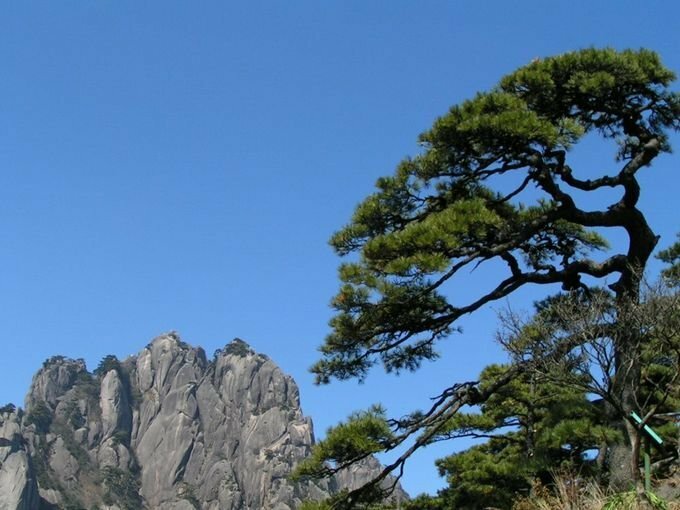 The name Huangshan literally means Yellow Mountain. However, the mountain is not yellow at all. Legend says that Emperor Huang, the ancestor of Chinese, cultivated himself and became a fairy at Mt. Huangshan. 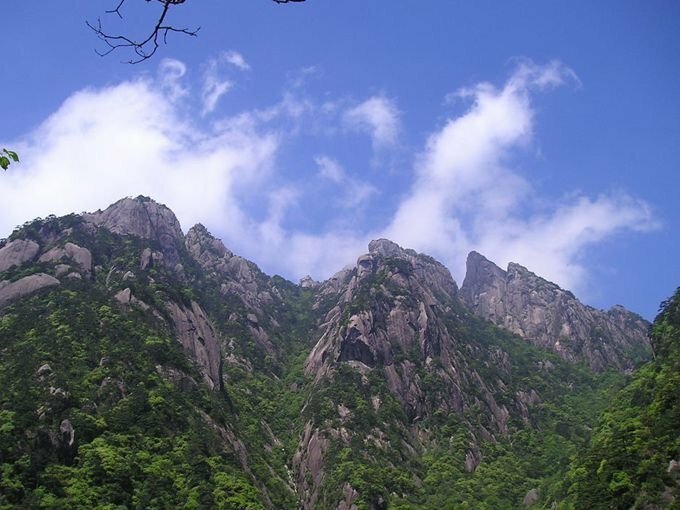 From then on, the mountain changed its name from Yishan to Huangshan. When is the best time to visit Mt. Huangshan? Mt. 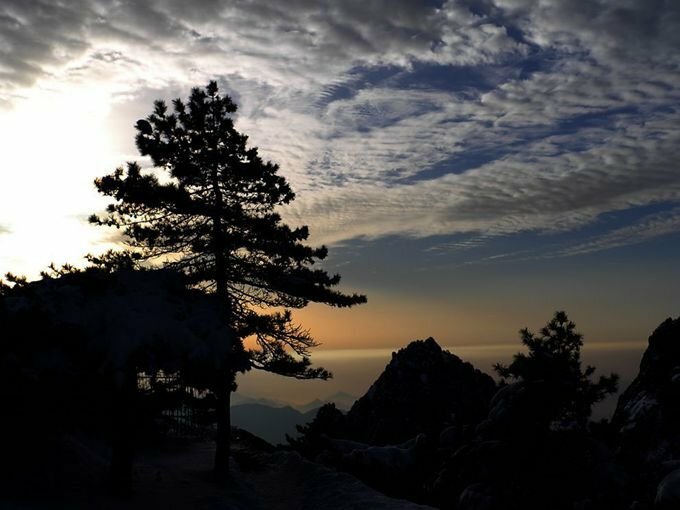 Huangshan can be visited all year round. In spring especially in April, there will be flowers everywhere. In late summer or autumn, it is neither too hot nor too cold. Though it is cold in winter, it is the best season to watch the cloud sea. How many days will it take for a Huangshan tour? 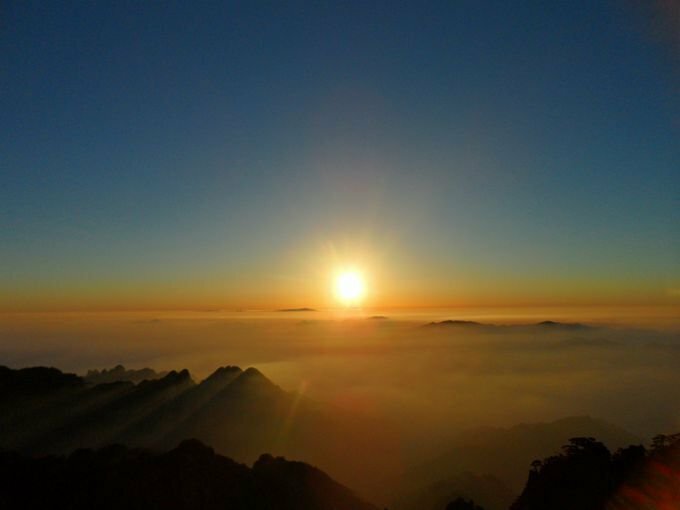 It usually takes 2 or 3 days for most tourists to visit Mt.Huangshan. For some tourists with a tight schedule, 1 day is also OK although it takes much effort. 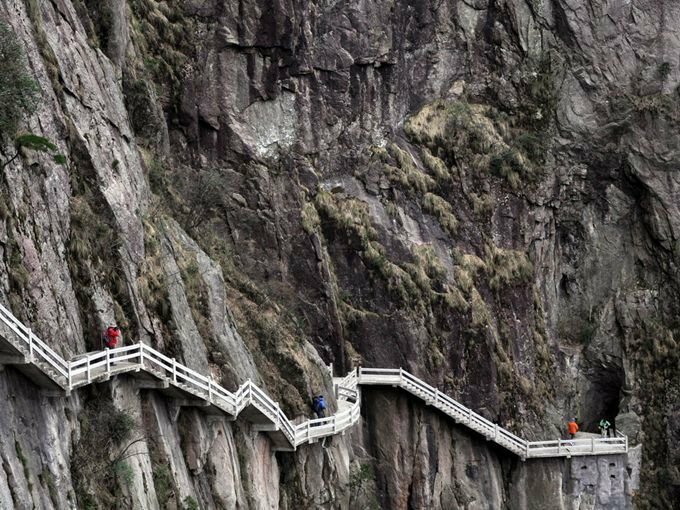 According to the regulations of Huangshan Scenic Area Management Committee, all private cars are not allowed to go up the mountain area. Every tourist have to take the tourist bus from Tangkou to the gate of Huangshan Scenic Area. Tangkou is a small town located at the foot of Mt.Huangshan. It is the transportation hub between Mt.Huangshan and the downtown. The restaurants on the mountain are usually located near the hotel. The price of the dishes is much higher on the mountain than those down the mountain. Perhaps a simple meal will fill the stomach. Besides, bring some snacks and water to renew physical vigor. If tourists would like to have a taste of some local cuisine, it is advised to have them at the restaurants at Tangkou or downtown. The famous local dishes are tofu, stewed chicken, rice dumpling, crab, fish and etc. There are several hotels on the mountain, such as Beihai Hotel, Baiyun Hotel, Shilin Hotel and etc. Most tourists would like to stay overnight on the mountain and watch the sunrise the next morning. It is best to choose a hotel located near the place where you want to watch the sunrise. For the night before or after the Huangshan tour, it is advised to stay at the hotel at Tangkou or the downtown. Tangkou is a small town at the foot of Mt.Huangshan. It is the transportation hub between Huangshan Scenic Area and Tunxi. Tunxi usually refers to the downtown of Huangshan City. If tourists would like to enjoy a hot spring, then the hotel in spring area is also a good option. Both trains and flights are available between Huangshan City and most major cities in China. Tangkou is a small town located at the foot of Mt.Huangshan, also the transportation hub between Huangshan Scenic Area and the downtown. 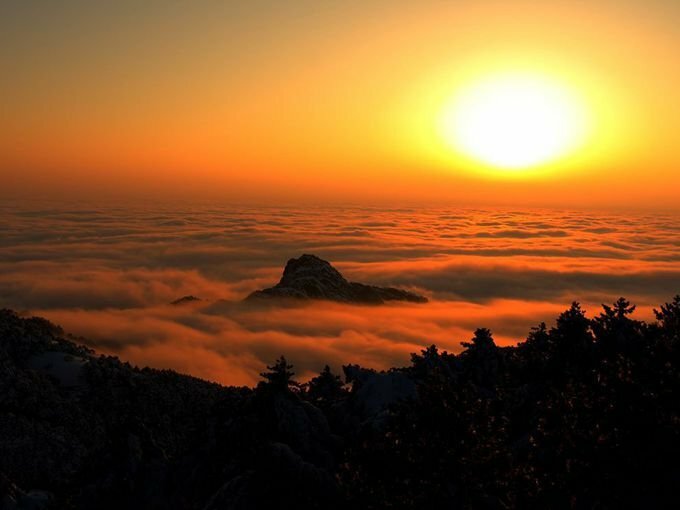 Usually, tourists who would like to visit Mt.Huangshan must arrive at Tangkou first. Buses are available from Huangshan Train Station and Huangshan Bus Station. It takes about 1 hour to arrive at Tangkou from the downtown by bus. After arriving at Tangkou, tourists need to take the tourist bus from Tangkou to the ticket offices: Yungu Temple or Ciguang Pavilion. After have bought the ticket, tourists could go up the mountain by cable car or by walk. 1. 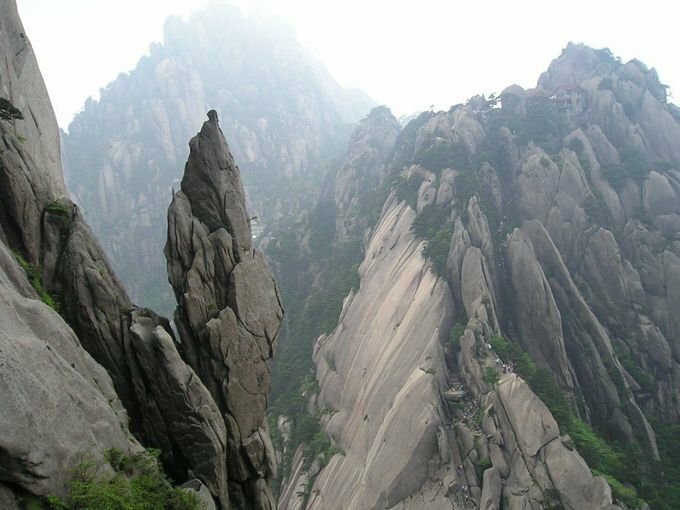 Mt.Huangshan is a very large scenic area and it’s best to arrange your hiking route according to your time and physical condition. For West Sea Valley, it takes about 4.5 hours all by walk or 2.5 hours for going down by walk and going up by mini-train. 2. It is advised to book the hotel in advance because the hotel will be short of supply in peak season. 3. The weather is changeable on the mountain. Bring a raincoat with you in case it will be rainy. Do not bring any umbrellas because it will be dangerous on the mountain. If it is rainy, do not use cellphones or shelter under a tree. 4. It is windy on the top of Mt.Huangshan. Do bring some warm clothes if you would like to watch a sunrise. 5. Bring some food and water with you. The food is more expensive on the mountain because it takes more effort to take the food up on the mountain. 6. Do not take much luggage with you when you climb the mountain. Perhaps a backpack would be better. Tourists could leave the luggage at the hotel at the foot of the mountain and just bring some daily necessities. 7. There are many steps in the scenic area. A walking stick will help to save much physical strength. 8. Be careful when you take photos. Look around before you step back. 9. Since Mt. Huangshan is such a large scenic area, it is advised to take cable cars to go up the mountain to save the physical strength for the attractions that can only be visited by walk. For West Sea Valley, the most beautiful part is on the walkway of going down the valley, so it’s best to go down the valley by walk and go up by mini-train. 10. Ignore the person who randomly come to you to promote tours, hotels or anything else. It may be a tourist trap. Take a tour with a regular agency. 1. 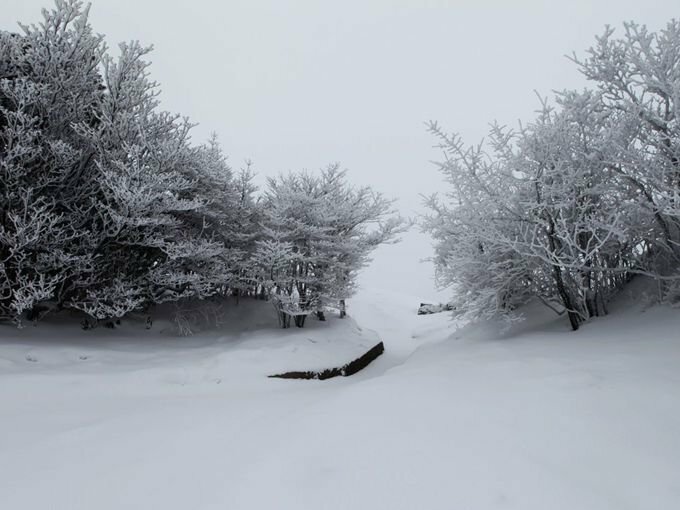 Private cars are not allowed to go up the mountain area. Every tourist have to take the tourist bus from Tangkou to the gate of Huangshan Scenic Area. The ticket fare is not included in the entrance ticket. 2. Do not paint or carve on any buildings, trees, rocks or history sites. 3. In order to prevent fire, smoking is not allowed in most parts of the scenic area. It is only allowed in the smoking areas. 4. Tourists may get confused about the place name in Huangshan. The explanation is as follows. Huangshan is the name of both the city and the mountain. 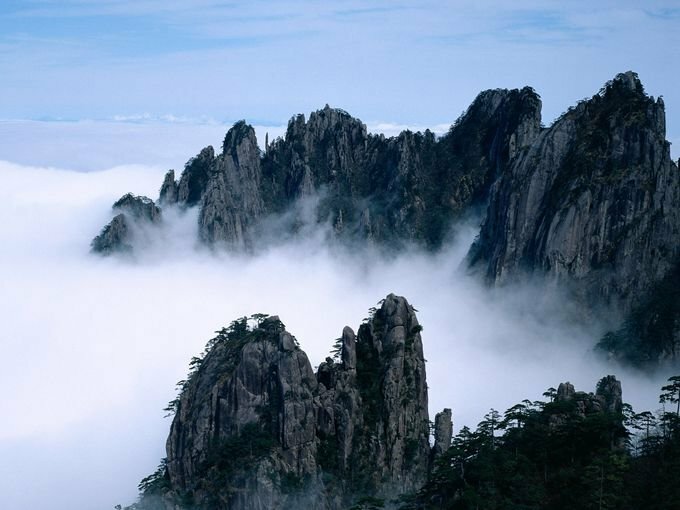 The city changed its name to Huangshan in 1987 in order to promote Huangshan tourism. Mt. Huangshan is located about 60km northwards from Tunxi. Tunxi is a district of Huangshan City, which is also considered as the downtown of Huangshan City. Both Huangshan Airport and Huangshan Train Station are located in Tunxi District. Tangkou is a small town located at the foot of the Mt.Huangshan. It is the transportation hub between Mt.Huangshan and the downtown. Tourists who would like to visit Mt.Huangshan must arrive at Tangkou first, and then take a tourist bus from Tangkou to Mt.Huangshan.